Come to love the autoharp while listening to Bryan Bowers, singer, storyteller and autoharp player. Bryan has been praised for introducing a new generation to the autoharp. He is performing at Crossings on January 18, 7:30pm. Born in Yorktown, Virginia, Bryan Bowers was raised in New Bohemia near Petersburg of the Civil War's Battle Of The Crater fame. As a child, Bowers would tag along with the field workers and gandy dancers and learned to sing old call-and-answer songs. In the late '60s, Bowers discovered music when he took up the guitar. "The roots of the music had gone real deep in me. Music was real fulfilling, unlike anything I had ever done before." It wasn't long before Bowers encountered the autoharp. From his rather unglamorous beginning as a street singer, Bryan Bowers has become a major artist on the traditional music circuit. He has redefined the autoharp and is also well known as a singer-songwriter. Bryan has a dynamic outgoing personality and an uncanny ability to enchant a crowd in practically any situation. His towering six foot four inch frame can be wild and zany on stage while playing a song like `Dixie' and five minutes later he can have the same audience singing `Will The Circle Be Unbroken' in quiet reverence and delight. In 2006 Bryan released the landmark recording, Bristlecone Pine. Crabby Old Man is released in 2011. Live at Winterfolk 2015 is his most recent recording. This is Bryan’s first live album and features 12 selections that he loves. This CD was recorded at Portland’s premier folk event and 28th annual fundraiser for Sister of the Road. 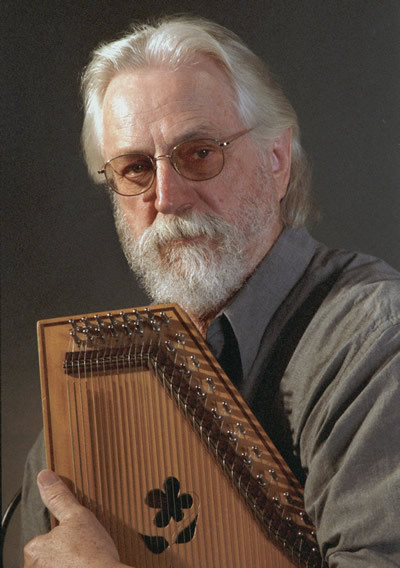 These recordings give the listener a wonderful musical experience from the man who re-defined the autoharp. For over five decades, Bryan Bowers has been to the autoharp what Earl Scruggs was to the five string banjo. He presents instrumental virtuosity combined with warmth, eloquence, expression and professionalism.